Olympus has entered into an exclusive distribution agreement with Terumo to supply its Glidewire endoscopic hydrophilic coated guidewire in the US. 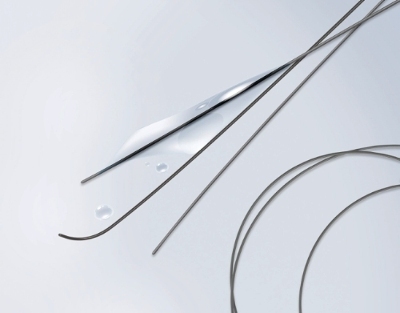 Terumo Glidewire endoscopic hydrophilic coated guidewire has been developed for endoscopic treatment of the biliary and pancreatic systems. Glidewire, which is a well suited complement to the imaging and therapeutic device solutions, can be used in gastroenterological procedures. It is used for biliary endoscopy, or endoscopic retrograde cholangiopancreatography (ERCP), a procedure that combines endoscopy and fluoroscopy. ERCP allows physicians to diagnose and treat problems in the gallbladder, bile ducts, pancreas and liver. It will be used to remove gallstones, and control strictures, leaks resulting from trauma or surgery, and cancers. The Glidewire is part of the VisiGlide guidewire line-up, which is used for guiding and exchanging endoscopic accessories in the biliary system, including the common bile, cystic, pancreatic and right and left hepatic ducts. Olympus America endotherapy marketing executive director Earl Adamy said: "By adding this trusted guidewire to our EndoTherapy line-up, we extend the guidewire options for complex ERCP procedures. "The Glidewire endoscopic guidewire improves the quality of care by providing physicians access to complicated anatomy where they may not have had the benefit of access before." Image: Terumo Glidewire endoscopic hydrophilic coated guidewire. Photo: courtesy of PRNewsFoto / Olympus.